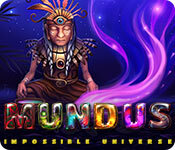 Mundus: Impossible Universe is rated 4.1 out of 5 by 21. Rated 5 out of 5 by Dianna19521953 from Loved it !!! This is one of my favorite games. I haved played it from start to finish,many times, and have fun, every time. This is a keeper. Rated 5 out of 5 by Kelsmom from mundus Love this game a whole new twist to this type of game.. very enjoyable and lots of levels to play. Rated 5 out of 5 by jkuci from Hard but I enjoyed it I played this on "normal" mode and I'm currently on level 110 - robot planet. This is a hard game. I had to wipe out one game and start over again because I'd used too many power-ups too early. So my tip is you should try to muscle through the levels using the least amount of power-ups in order to save them for really hard later levels that you just cannot get through without help. My only complaint is that you can only have one game in memory. Rated 5 out of 5 by Feckles from One of the Best! It took a little bit of time to get the hang of this game, but I'm glad I did, cause' I am hooked. I usually RUN from limited moves game play, but this is different. You need to play the same level more than once to determine the best strategy to beat it. It's nice to have a Match-3 game that requires some thought. I don't mind playing the same level over and over because each time it is so different, it feels like a new level. This will be one of my favorites. I think even people who don't usually like Match-3 would enjoy this game, it is so different. LOVE IT! 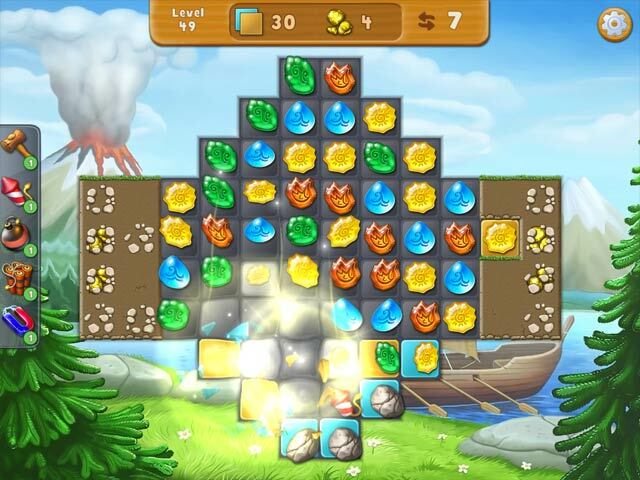 Rated 5 out of 5 by davisann33 from More than Match 3 game I loved this game! Parts of it are hard but make you more determined to win! I bought it and would recommend it! Rated 5 out of 5 by mccurdynk from One of the Better Match 3 Really enjoyed this Match 3. Match 3 are my favs and I'm running out of ones done this well. This game has two skill levels and the challenging level was too hard for me. The number of moves given never seemed quite enough. The normal level was perfect and so much fun. Rated 5 out of 5 by mkgermany from Best Match-3 game to appear in MONTHS! This is an exceptionally well designed game, and a real treat to play. I'm almost overwhelmed by the depth of the imagination that went in to designing challenging, yet super fun levels of play. 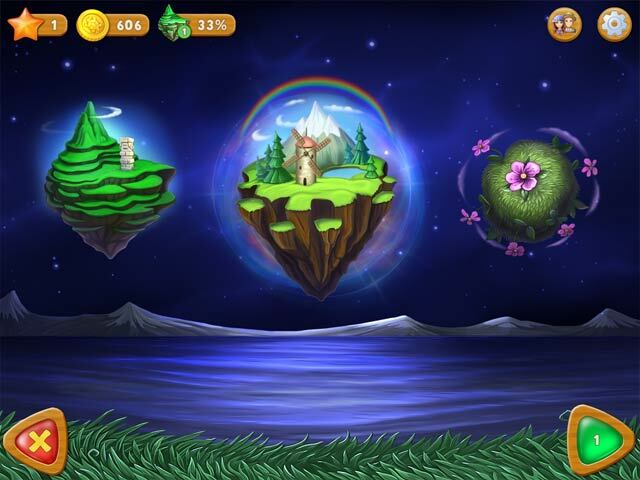 The play is limited moves or timed, but you can re-play a level to your heart's content and all levels are "do-able" with a little bit of thinking. The graphics are astonishingly beautiful. Rated 5 out of 5 by JeansLady1 from Very challenging levels This is a devilishly good & fun game. 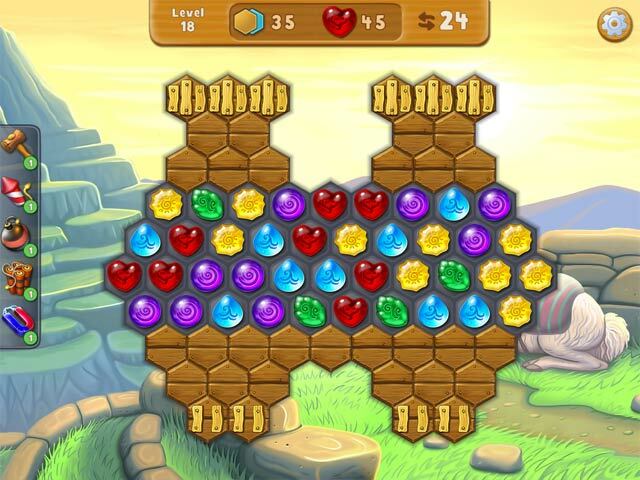 Some of the levels are really difficult and you have to plan your moves since you have a limited number. It's not a Haunted House 5, but it's a winner in my opinion. The graphics are fun and colorful which I always like. You buy buildings with stars that you earn. I don't like time management games, but I enjoy "building" things - cities, castles, etc. This has that feature, too. Give the demo a try. I just started playing boards where the pieces pass through portals - very different and interesting. I've been just one or two moves short of completing a level many times, but I learn something with each re-try and finally move on to the next. I'm currently on level 28 and not ready to stop even though I need to get to bed. I keep thinking "Just one more try" especially when I'm just one move shy of winning the level.